I'm so excited that summer is finally here! If you read my post on Me-Made-May, I participated on a very small level. I didn't post photos of me in handmade clothes every week. In fact, I only did it once! After I wrote that post, it was hard for me to keep up! I didn't have enough quality garments to get me through without wearing something more than once. Too many of the handmade items I have either 1) are not weather appropriate, 2) too dressy for everyday wear, 3) did not fit me the way I would like it to. So my goal for the summer is to make simple tops for everyday wear. I find that I do not do as much sewing in the summer because I am outside either working in the yard or enjoying the weather! So simple projects are better! Right now I'm working on Dana Marie Designs - The Right to Bare Arms. It is a super easy sleeveless top or tunic pattern. I'd also like to try her other sleeveless top A Little Something Xtra. But I have to buy some bras with a criss-cross strap first! Both of these patterns are available on our website. 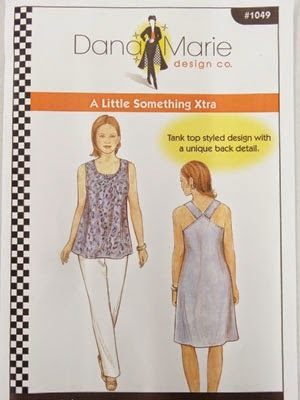 Click here to view our selection of Dana Marie Designs patterns. 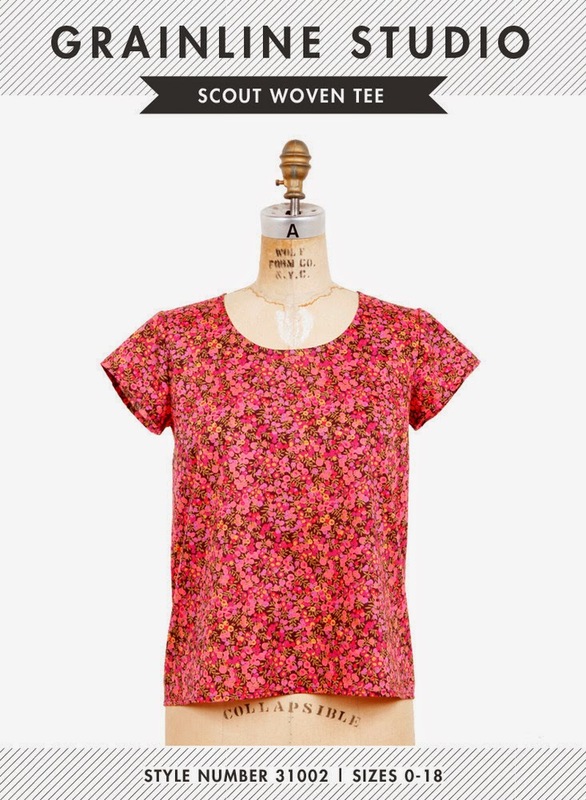 I also sewed up Grainline Studios ever popular Scout Tee. I used a cotton lawn scrap from my stash to test out the pattern. I would like to try it with a knit fabric too. Another pattern I've been dying to try is Pamela's Patterns Favorite Bias Skirt. I plan on using a printed linen from May's Julie's Picks. 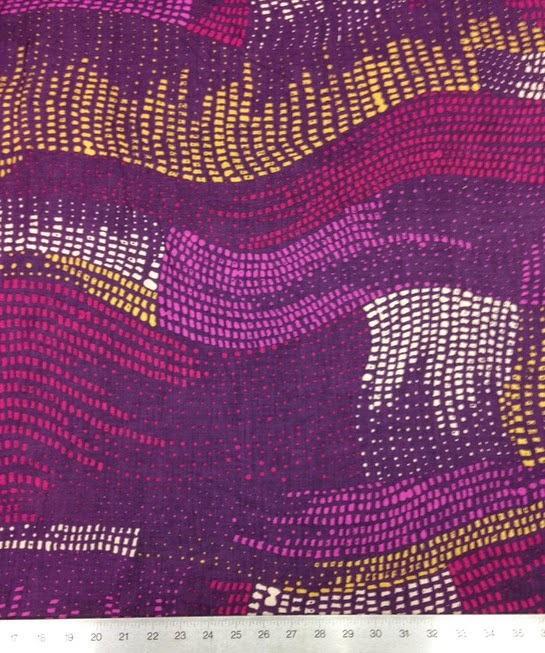 Isn't the print fun on this fabric?! Sorry, it isn't available anymore but you can find a lot of other linen options here. Lastly, I am going to try my hand at pants. I've talked about making pants in previous months posts, but in the process I've been having a hard time getting them to fit in all the right places. So I bought Palmer-Pletsch Pants for Real People. I have another one of their books, Palmer-Pletsch Fit for Real People and it has been a lifesaver! Fit for Real People does not talk about pants too much, so I decided to buy the Pants for Real People. Last year I made myself a few shorts for the summer. I wore them and they were fine, but compared to RTW, they just aren't right. I get a lot of sagging in the crotch area along with some other weird issues! So on days that I have a little bit more time, I'm going to work on fitting pants. I will be blogging about all of these projects as they come up, so stay tuned for details on all of these upcoming projects! What are your sewing plans for the summer? I had the same problem with Me Made May! I actually *did* manage to wear something me-made every single day in the month of May (with the exception of a couple of weekend days), but there were a lot of duplicates. I also didn't post pictures, for some of the same reasons as you. Only a small number of them were even photo-worthy in my opinion. I went through a massive closet purge and realized that most of what I have that's still wearable is not going to be for long (gotta *not* love cheaply made RTW). So my sewing right now is also all about basics and things that I can easily mix and match! I think I'm going to do a massive closet purge too! Even of handmade items I just don't think I'm going to get around to altering to make fit. I hate having a pile of "to be altered" sitting in my sewing room--but sometimes I do get the urge to work on it! But then those clothes still sit in my closet. Thanks for sharing your experiences! I have many plans but not enough time. My goal is to sew down my stash which is approaching out of control. Planned items are several dresses, some out door pillows, tote bags requested by friends and family and a window seat cover. I would really love to sew my stash down as well too! But over the weekend I realized that I have SO many prints and not enough solids in it. Looks like I will be looking through our retail store here at FM and finding all the basics! I too am tackling pants and have learned so much from Peggy Sager of silhouette patterns she teaches so much about fit and is free!! On her website she has free Web cast and they are great!! it's: www.silhouettepattern.com check it out might help and I absolutely love her patterns!! Thanks for the info! I will definitely have to check out Peggy Sager's website. I need all the help I can get when it comes to sewing pants!